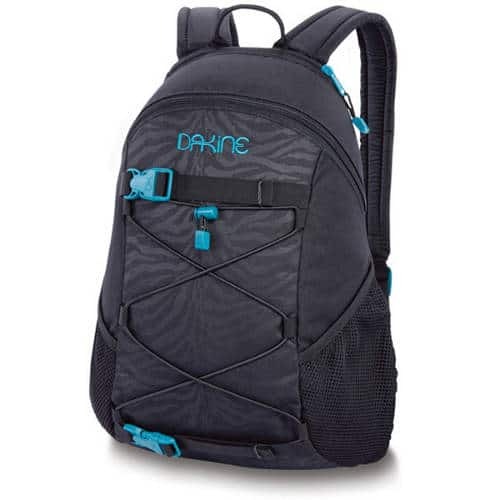 The new Dakine backpacks are here! The new Dakine backpacks are here! I feel like Steve Martin’s character in “The Jerk,” but he was excited about phonebooks. If you don’t get the cinema reference, don’t worry, what matters is that Tahoe Mountain Sports just got some awesome new Dakine Backpacks in stock. I am very excited about the ones I use myself. 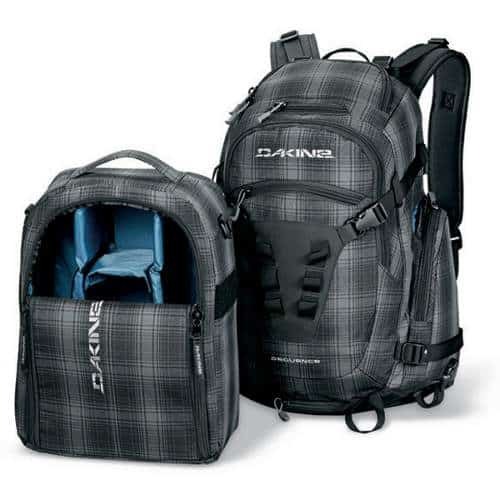 The Dakine Sequence is a photo-specific backpack which can be put to work in many ways. I have personally used this pack as my go-to bag for over a year. What first attracted me was the bag’s ability to carry both my photographic equipment and my technical backcountry gear. What has kept it in service is that it is simply a great photo bag. 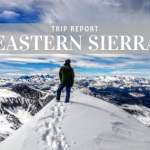 It has now helped me shoot through nearly two wedding seasons, and a full winter photographing skiers at Squaw Valley. It has made my job easier, both during the rush and hustle of shooting a wedding, and the extreme environment on the mountain. The Dakine Sequence makes it super easy to access my gear. 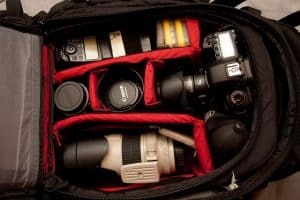 The back panel zips open while the bag is lying on the ground (or the snow), which provides a great platform for changing and storing lenses and accessories without having to pull them out of the bag or set them on the ground to get wet or dirty. 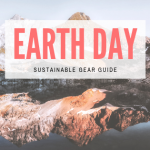 The shovel pocket also has organizers for your other avalanche gear, as well as water-resistant pockets to store photo accessories such as filters, memory cards and batteries. I’ve used the deployable tripod carry numerous times to help capture low-light shots, and the ski carry works great for those steep ascents (there’s a snowboard carry too, for you single-stick riders). Perhaps one of the best features of the bag is the removable camera block. This makes it easy to put the block in a Pelican case for aquatic gigs. It also serves to create a second bag, making your backpack more versatile (i.e. main pack as a carry on backpack and camera block as a personal item). The second bag that recently arrived is the Dakine Campus. This backpack makes a great daypack for quick hikes or touring a new city! It also functions like the name suggests: perfect for toting your Biochemistry and Advanced Quantum Mechanics textbooks and organizing miscellaneous pens, sunglasses, notebooks, your MP3 player, etc. 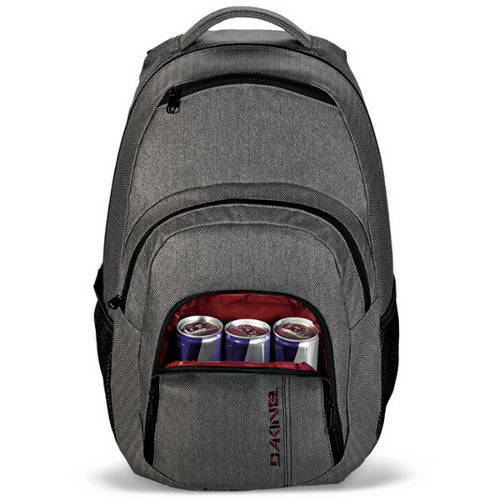 The cooler pocket is great at stashing energy drinks for late studying in the student union, or keeping your lunch cold when you hit the beach. This is also a great bag if you prefer a backpack to a shoulder bag for biking your laptop and presentation material to work. There’s a padded laptop sleeve inside that fits most 15-inch laptops. How many laptop backpacks can lay claim to a cooler compartment? Finally, the Dakine Wonder is a great pack that I have been using for 7 or 8 years. It is small and simple. It makes for a great beach bag, or running errands on your bike. For me, it is perfect for taking my lunch, water and a jacket to work. A lined sunglasses pocket up top keeps your shades protected, and the board carry straps work well for a quick hike inbounds at your favorite ski resort or to carry a skateboard in summer. 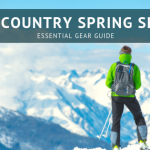 The elastic cord is great for stashing your fleece on the mountain during that hike. For the ladies (we currently only carry the women’s color palette), it has been a popular pack because it is the perfect size to work instead of a purse! It will shuttle home a pint of ice cream and a copy of “The Jerk” on your bike ride from the video store. 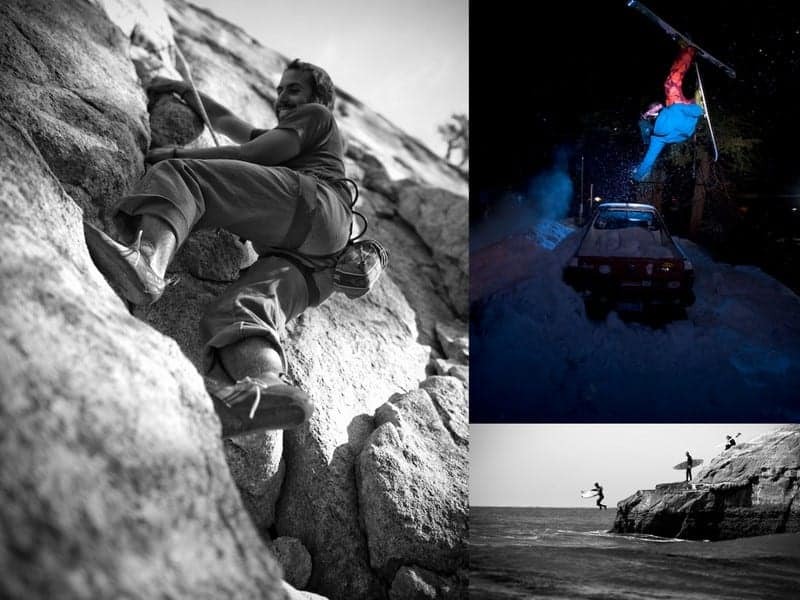 Kevin is Tahoe Mountain Sports‘ hard goods manager. He’s often the first face you see in our shop, and one of the friendly voices on our customer service line.